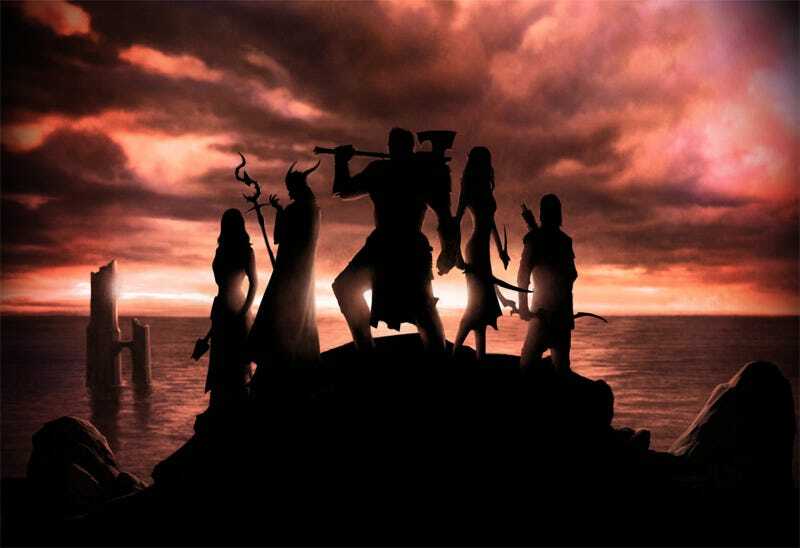 Atari and Cryptic Studios return to the Forgotten Realms Dungeons & Dragons setting next year with Neverwinter, an online co-op role-playing game based on an upcoming series of novels from R.A. Salvatore. What began in Neverwinter Nights on AOL in 1991 continues online in the fourth quarter of 2011 with Neverwinter, an online role-playing game by Champions Online creators Cryptic Studios. Following the original adventures and those experienced in the standalone PC games, Neverwinter Nights and Neverwinter Nights 2, Neverwinter takes us to a dark time in the history of Faerun's greatest city. In the Fourth Edition update of the Forgotten Realms campaign, Neverwinter was destroyed in the Spellplague, with much of its population scattered. Now different factions fight for control of the city and the undead have begun to rise, setting the stage for this latest chapter in Neverwinter gaming. Players will choose from one of five different classic D&D classes, teaming up with friends online or join up with computer-controlled teammates, taking on adventures in a persistent online world. As with other Neverwinter games on the PC, players will even be able to create their own adventures using a set of robust adventure creation tools currently known as Forge. "We're beyond thrilled to develop a brand new version of Neverwinter. It's been years since the original became a gaming icon and we're honored to work with such a great franchise," said Jack Emmert, COO of Cryptic Studios. "We've been working closely with Wizards of the Coast and R.A. Salvatore to create an authentic D&D adventure filled with compelling fiction and exciting gameplay." The game will be based on a trilogy of Neverwinter books by acclaimed D&D author R.A. Salvatore, which kicks off in October with the release of the first book, Gauntlgrym. The game's release on PC will also coincide with the release of a tabletop board game from Wizards of the Coast. Neverwinter will be the first video game based on Fourth Edition D&D rules, and promises the sort of rich character customization that Cryptic has become known for. Let's just hope it's more compelling that the developer's recent MMO releases, Star Trek Online and Champions Online. With the passionate fan base the Forgotten Realms setting has, botching this roll would redefine Critical Failure. To keep track of Neverwinter updates, head to the game's official website and sign up for the newsletter.